Fans of John Deere in the UK and Ireland can now follow the company on the official John Deere Facebook page and YouTube channel, with new content tailored specifically for these countries. 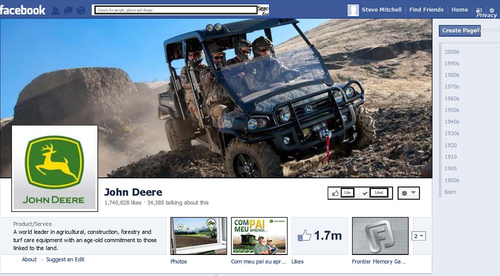 The Facebook page aims to provide a place for John Deere fans to exchange news and information about the company, its products and activities. Fans are encouraged to get involved by posting comments and photographs, or by clicking the Like button.